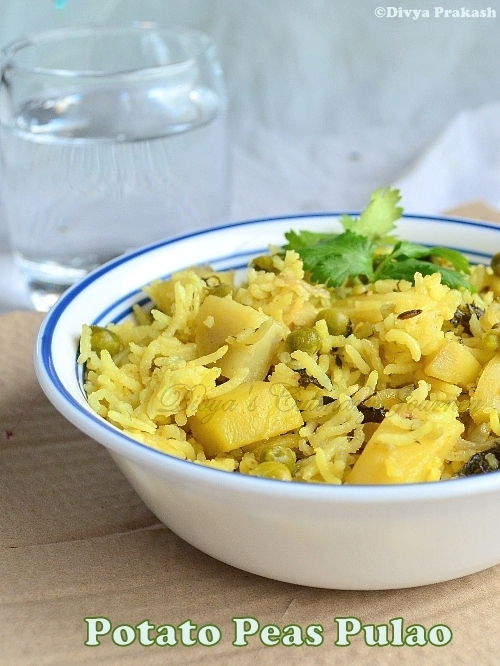 Today's recipe is Potato peas Pulao. A simple one pot meal that can be easily prepared and yet delicious. 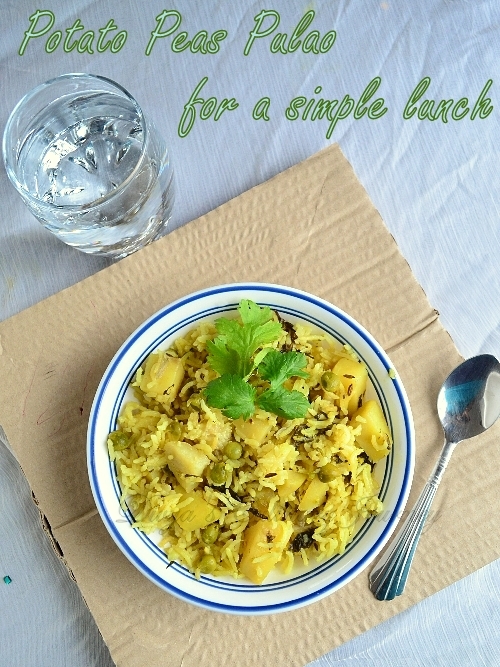 It is perfect for packing lunch too.Potato and peas make yummy combination which hardly anyone will say no to. This recipe is for the final day of the blogging marathon. Ginger garlic paste, 2 teaspoon. Soak Basmati for 15 - 20 minutes. In a pressure cooker, heat oil, add fennel seeds, cloves, cinnamon, star anise, bay leaf and fry for a minute or two, then add the sliced onions, green chillies and fry till the onions turn translucent. Then add ginger garlic paste, turmeric powder, mint leaves and cilantro and saute for a minute. Then add potatoes, peas, and cook for 2-3 minutes. Now add the soaked basmati rice, add water and close the lid and pressure cook, till it is done. Once pressure is released, open the lid, gently fluff the rice. 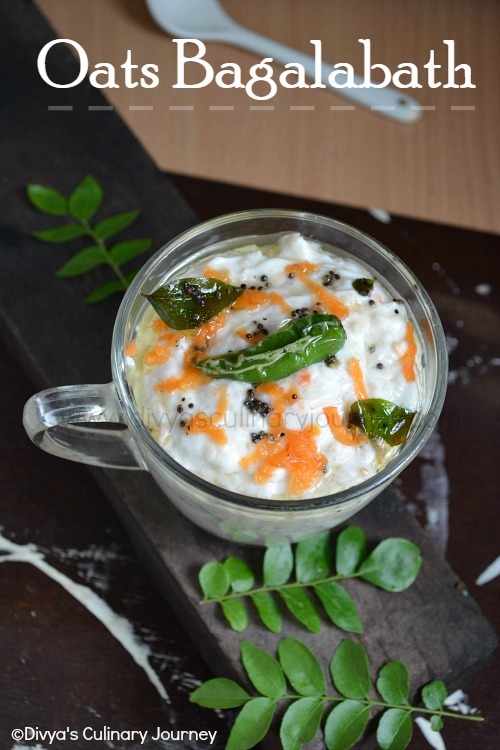 Serve with any spicy side dish or you can even serve it with raitha. For cooking the rice, I added 3 3/4 cup of rice. But you can go ahead with your ratio which works best for your basmati rice. Pressure cooking time varies with each cooker. In my cooker, I cooked in medium high heat for one whistle and then lowered the heat and cooked for 5 minutes before I turned off the heat. Simple and delicious looking. nice clicks Divya! Rightly said, this combination can never go wrong, delicious pulao..
Beautiful and inviting pulao, a prefect rice for lunch box. Easy N Quick food.. :) Looks so delicious Divya..
pulao looks great.. nice color..
One pot meals are always great! Easy to make and yet so delicious! This looks really good! This kind of pulao is my savior on busy nights. Yummy pulao, gr8 clciks too!!! 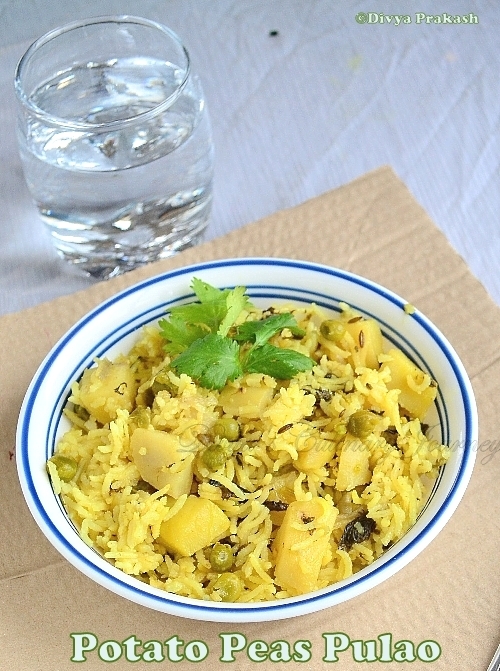 Yummy pulao, potato n peas is an amazing combo. Loved ur clicks divya. Healthy one pot meal.. Looks delicious.